This is off Emilio's upcoming compilation Scumbino's Way. This kid has been putting out some good music. He's one of the ones to watch for in the R&B world. Here's his new mixtape. Enjoy!! Yes!! Self Scientific will be releasing a new project entitled Trials Of The Blackhearted very soon. The Family Sign drops April 12th. 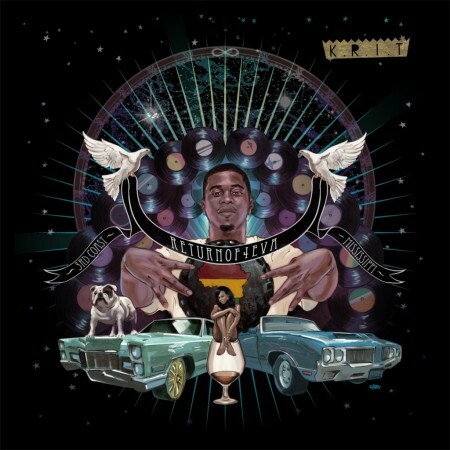 Video: Jean Grae feat. Styles P & Talib Kweli - R.I.P. Yup! Cookies Or Coma is dropping soon. Then we'll get Cake Or Death. Right? Here's a new video from the Sene x theClubhouse collaboration. 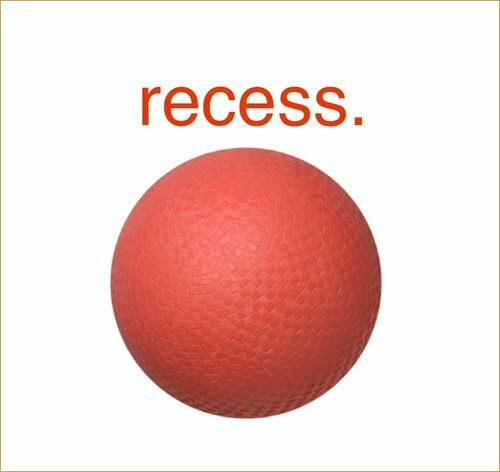 You can grab their self-titled EP, Recess, now. I've been digging this cat lately. Late pass I know but better late than never. Enjoy! Video: Nardwuar Interview w/ Big K.R.I.T. People need to learn how to do interviews from this dude, ie. research. Big K.R.I.T. 's Returnof4eva drops March 28th. The Come Up Show interviewed Pharaohe while on tour in Canada. This W.A.R. (We Are Renegades) album is ridiculous!!! In my opinion, his best album yet. Cop it!!! Aloe teamed up with LRG to do another video for his hit single off the awesomely dope Good Things. Word is Aloe and Exile, better known as Emanon, have another album in the works as well. Oh, what, you didn't know? Aloe can spit too! Mateo drops a video for his second single. I really like this cat. Dig his covers too. Talented dude! 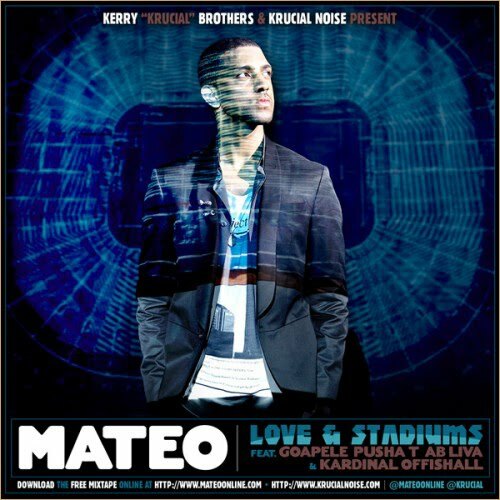 Look out for his upcoming project Love & Stadiums, dropping March 30th. Haven't really checked this dude but I hear a lot of talk about him. Some smooth, dope Hip Hop. I'm digging this! Returnof4eva drops March 28th. Nice vid!! Kooley High's Eastern Standard Time is out now. Blueprint recounts his connection to alcohol and how it affected his experiences. Adventures In Counter-Culture drops April 5th. The follow-up, Heroes In The Healing Of The Nation, drops tomorrow. Nice acoustic rendition of a song on their upcoming album Oneirology, dropping March 22nd. Yep! Zo! 's SunStorm is out now. Hilarious! The Family Sign drops April 12th. 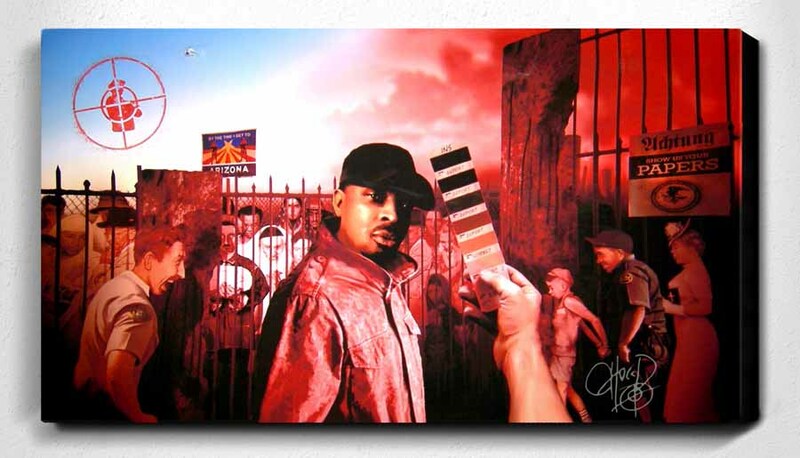 Each canvas in this limited series of 300 is signed and numbered by Chuck, comes with an authenticity placard, and bears an aerosol stencil of the Public Enemy logo. Hidden within the piece are more than 30 various figures, lyrics, and messages for viewers to find, making it an artifact that reveals itself fully over time. Visit theartofchuckd.com or legacyoften.com for more details. "In ‘To the Future’, Canadian Hip Hop Artist Eternia bravely explores the skeletons in her own closet, detailing a first-hand account of sexual assault, domestic abuse, gun violence and abortion. The bone-chilling song, written as a letter to Eternia’s future husband, is interpreted on film by Canadian video director Erica Shallow (TwoThreeFive Films). Set in a bare-bone, abandoned housing block, the music video portrays a stripped-down, natural and vulnerable artist performing directly to camera the painful reality of her teenage years." This is in partnership with Kids Help Phone, an organization that offers counseling and a place for compassion. Vulnerability at its finest. E delivers herself and her experience to contribute to a cause. Eternia & Moss' At Last is out now. Fresh! Good Things is out now. Finally some light is shed on this situation with the Tribe documentary. Tip talks about a revealing email he was sent by accident. Some grimey people out there! He did go on to say that Rapaport did a good job and people should see the film. For Hip Hop. This is from Exile's Radio AM/FM, a remix project based on his original album Radio. Oh so smooth! This is from Mello Music Group's compilation Helpless Dreamer. Well this is a surprise. 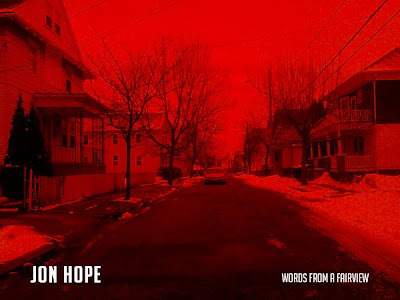 The Providence emcee drops off another EP for your listening pleasure. Enjoy! Nice! MED comes through with a video for the loosie track. Not sure what it's going to be on but...yea, classic! 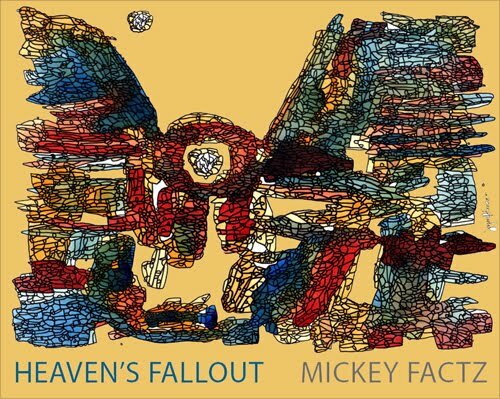 Here's a new vid from Tanya Morgan's Donwill from his dope album Don Cusack In High Fidelity. This is off B.o.B. 's last project No Genre. Sweet! Mighty Mos jumped on Fuel TV's The Daily Habit and rocked a new joint produced by Madlib. I dig what I'm hearing. A new video for the recently released track. And apparently there's an EP, Figure 8, on the way in April. Some love for his hometown. Eminem's Recovery is out now. Sene and The Clubhouse are Recess. Here's the first project from the collective and I've only been hearing good things. We shall see. Enjoy! I can't believe it's been fourteen years since we lost one of Hip Hop's wordsmiths. The impact his music made is still felt to this day and will be for generations to come. Arguably one of the most impactful Hip Hop artists ever. Rest In Power! The Rhymesayer releases the first single/video from his upcoming album Together/Apart. Really digging this. And dude I think is only a teenager or at least in his early twenties. The latest from Kweli's Gutter Rainbows. Fox 9 News took the time to profile the lady of Doomtree. Real dope and an insight into her music and person. A Badly Broken Code is out now. I love Atmosphere's dry humor. They always come with something funny and creative with their promotional materials. The Family Sign drops April 12th. I was definitely unaware so I guess I'm not a member. 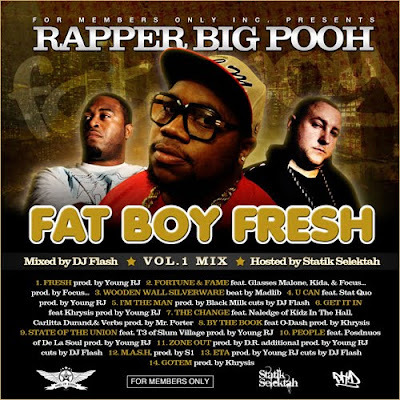 Rapper Big Pooh drops his latest mixtape with an assist from DJ Flash and Statik Selektah. This is a preview for his upcoming EP Fat Boy Fresh Vol. 1: For Members Only, which drops April 5th. Enjoy! Here's the first video from Nyle's just released project Trailer. On the cusp of releasing his second solo full length Cats & Dogs on Rhymesayers, Ev expounds on his career visibility, writing to Prodigy, his relationship with Alchemist and the return of Dilated. Shaolin Vs. Wu-Tang is a dope album! Rae stays consistent throughout and to hear his explanation behind the album makes it a better listen. Cop OB4CL2 while you're at it. 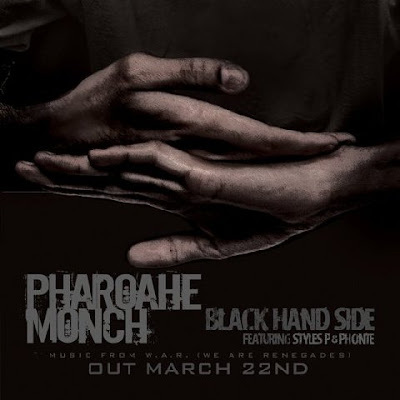 Only a few weeks until the highly anticipated third album from Monch hits the shelves. Here's the video/short film for the second single. Powerful! W.A.R. ( We Are Renegades) drops March 22nd. Video: The Kid Daytona feat. Freddie Gibbs & Alex of The Kickdrums - Take Aim...Bang! This joint is dope! Taken from Daytona's LRG supported project The Interlude, out now. This is the latest off Reks' dope album R.E.K.S. (Rhythmatic Eternal King Supreme), out now. Video: My Favourite Verse feat. Joell Ortiz "125 Pt. 4"
Download: Pac Div - Mania! So here's another free project from Pac Div while we patiently (sarcasm) await their debut. I like Pac but there's something that has waned over time for me and that's why I'm anticipating their debut, because I want to be proven wrong. I have an opinion that most of their music sounds the same, the bouncy, synth west coast sound. I feel they have talent where they can rock over anything and expand their artistry. They remind me of Souls Of Mischief. They will have consistency and longevity if they show their flexibility. With that said, I will still listen and enjoy with the rest of you. Enjoy! There's not a lot of information on this but apparently this is part of the making of Jay's album. It features singer LaTonya Givens. It's definitely got me interested. Another video from NC's Kooley High from their just re-released project Eastern Standard Time. After releasing the single a few weeks back, Atmosphere drops the accompanying video. Cute dog! The Family Sign drops April 12th. This looks to be an interesting film on one of the best and classy singers of his generation, Bill Withers. Rainn Wilson stars in this action-superhero-comedy. It reminds me of Defendor. Ha, is Jon Hope D'angelo-ing it? The Providence emcee shares some thoughts after a shower. Jon has been consistently on my radar since the Statik Selektah assisted The Audacity. 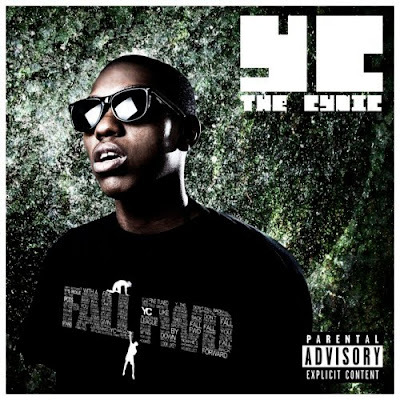 His consistent lyricism makes him one to keep an eye on. Look out for Jon's upcoming project Work In Progress. Mickey decided to re-release this project after its debut four years ago. It's re-mastered with a few bonus tracks. Enjoy! Yesss!! Man, I can't wait for this album. W.A.R. (We Are Renegades) drops March 22nd. Today marks the 20th Anniversary of the Rodney King beating which was the beginning of the L.A. Riots. Thurz decided to address this through a song which you can check below and download at The Riot Starts Here. The video shows the transformation of Thurz into the famed picture of Rodney after the beating. Here's something a little different from Blueprint. Looks like there's going to be an interesting arrangement of sounds on this album. Adventures In Counter-Culture is coming soon. Fat Beats is launching a pop-up shop in Brooklyn. It will probably be a monthly event. More info. I will certainly be visiting. Kooley sees their Eastern Standard Time project get re-released by Fat Beats today. Although I haven't heard much from this dude, what I have heard is pretty good. Click away and decide for yourself. Enjoy!